Original blog post featured on The Journal by Intrepid, by Frank Cheshire. The new year is on its way. And if you’re anything like us that means just one thing: new adventures. This year, we’re feeling extra excited about our new cycling trips. Not just because we love exploring the world from a saddle, but because these trips for 2019 feature refreshed itineraries, lesser-known regions we’ve never visited by bike, and – most importantly – entire countries we’re now cycling through for the very first time. 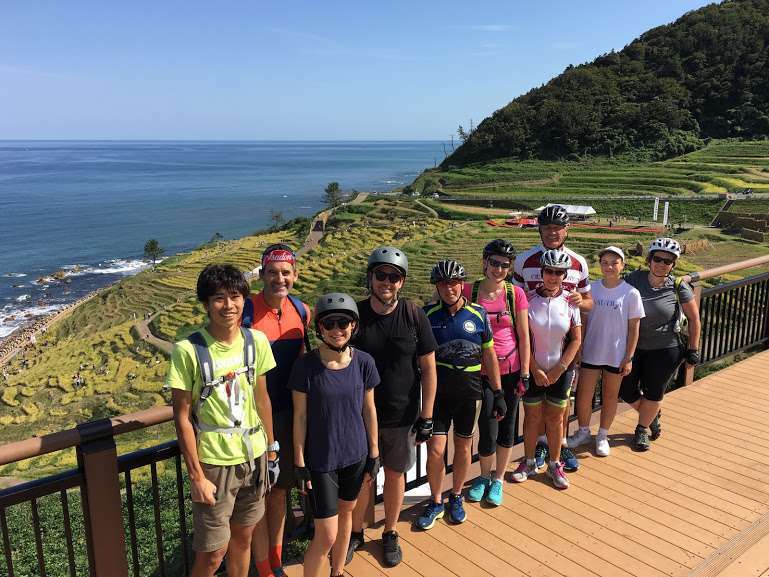 Now you can cycle through Japan’s rice fields with Intrepid! So if biking through Northern Vietnam, Eastern Cuba or three (yes three!) countries in the Balkans sounds appealing, look no further. Check out the 8-day trip here. 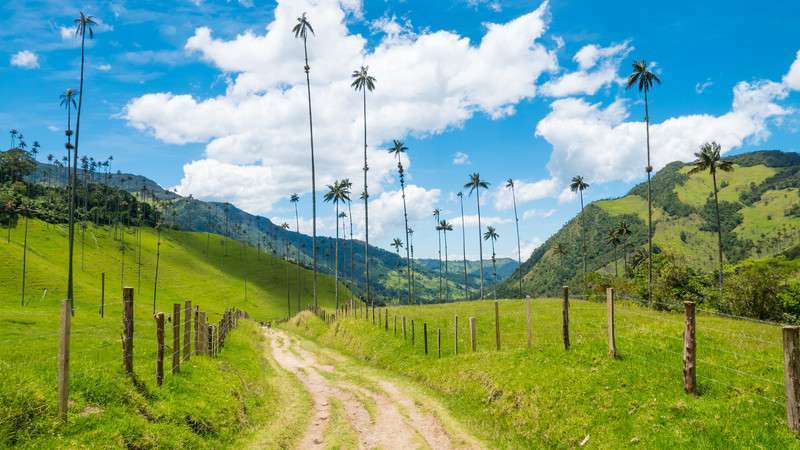 The cycling highlight: Colombia is a cycling-mad destination. Any country that closes its capital city’s main streets every Sunday for ‘Ciclovia de Bogata’ – so over 2 million cyclists or 30% of the city’s population can enjoy traffic-free riding – gets our vote for 2019’s hottest new cycling destination. Check out the 9-day trip here. 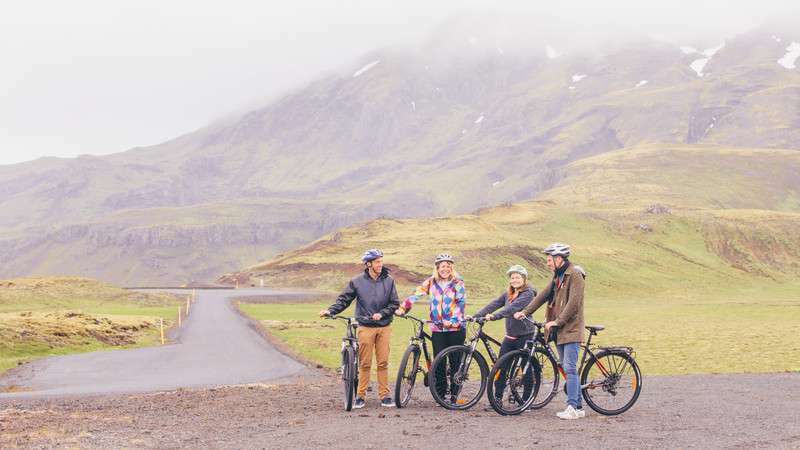 The cycling highlight: They say that Iceland is one long highlights reel, and who are we to argue! The scenery of Iceland is the star, but the ride that inspires us most is cycling out to the Glacier Lagoon at Jokulsarlon. Nestled at the foot of Vatnajökull, Europe’s largest glacier, the lake glistens with diamond-like mini icebergs. You can even ditch the bike and take a boat out among this inspiring scenery. The non-cycling highlight: While the Golden Circle gets all the attention (thank you, Game of Thrones) and the crashing waterfalls are the stuff of legends, the real highlight of Iceland is the endless summer days. From mid-May to mid-August and the sun only sets for around three hours per day (or less!) so you’ll have even more time to discover this amazing country. The cycling highlight: Okay, so we sometimes complain about riding in traffic feeling a bit treacherous but how about riding around a live volcano? 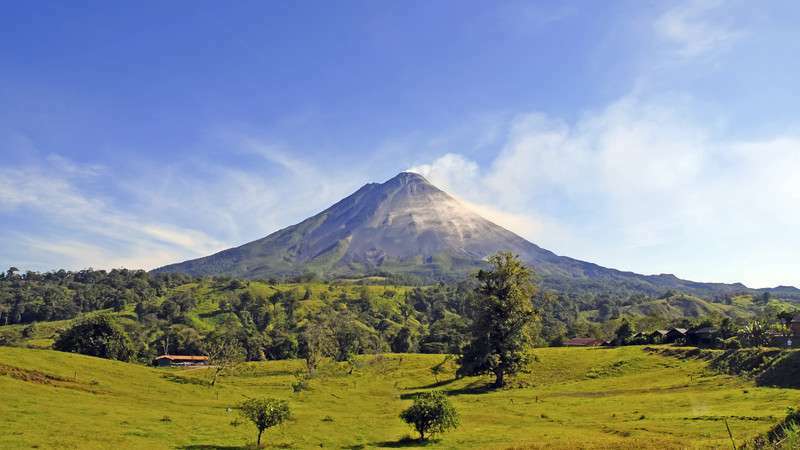 Now this might not seem like the most logical place to cycle but the ride along the shores of vast Lake Fortuna, in the shadow of Costa Rica’s Arenal Volcano, is a must-do in this area of stunning natural beauty. The non-cycling highlight: It’s impossible to think of Costa Rica and not think of the sapphire waters of the Caribbean. Costa Rica has more than its fair share of idyllic coastlines and laid back beach-side towns, none more so than Puerto Viejo de Talamanca. It’s classic Caribbean: think reggae bars and palm-fringed beaches. The cycling highlight: When your entire ride is one of world’s great pilgrimages you could reasonably argue that the entire ride is a highlight, but cycling over the final hill to see the towering steeples of the Santiago de Compestela Cathedral in the distance probably takes the cake. 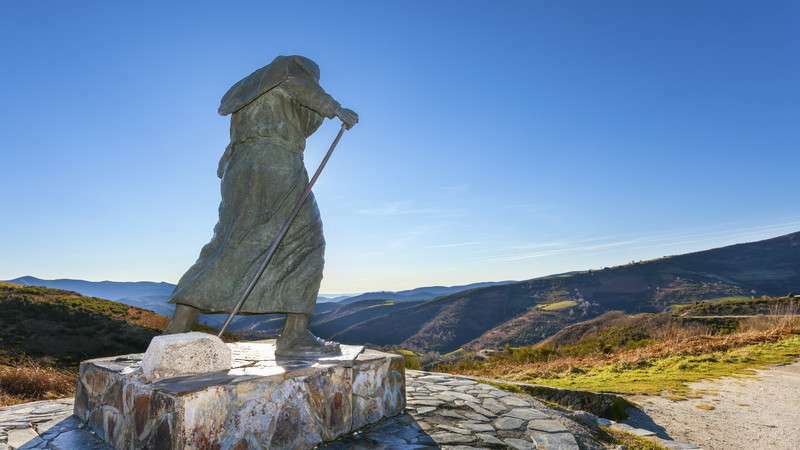 The non-cycling highlight: Cycling the pilgrims trail means you have more time to enjoy all the highlights of Camino than those choosing to walk it. The history of the trail is amazing but sitting in a vibrant café beside a cobbled plaza of an ancient town, with a nice red wine in hand, is the perfect way to end each afternoon. The cycling highlight: When a trip goes through three European countries (Croatia, Montenegro and Bosnia & Herzegovina) with inspiring natural landscapes – from stunning beaches to towering mountains to history-filled cities – choosing a single highlight is a challenge. But we think lasting memories can be made on the ride from the Adriatic coast and the sublime waters of the Bay of Kotor into the cobblestone lanes of the historic Old Town of Kotor. The non-cycling highlight: The utterly charming town of Mostar, a picture-postcard town best known for its iconic Stari Most (Old Bridge), from which both tourists and locals dive into the River Neretva. This is a tradition for local boys, who are said to have a lifetime of bad luck if they do not complete the jump in order to become a man. It’s a beautiful spot to kick back by the river, enjoy a coffee and watch the world go by. The cycling highlight: The South Island of New Zealand has some of the finest ‘rail trail’ cycling routes in the world and few are better than the spectacular Otago Central Rail Trail. It’s the oldest rail trail in New Zealand and the locals have voted it ‘NZ’s Favourite Ride’ for last two years in a row. If it’s good enough for the locals then it’s good enough for us! The non-cycling highlight: In a land that gave us the stunning scenery of Lord of the Rings, the Hobbit and The Last Samurai (who knew?! ), non-cycling highlights are everywhere. 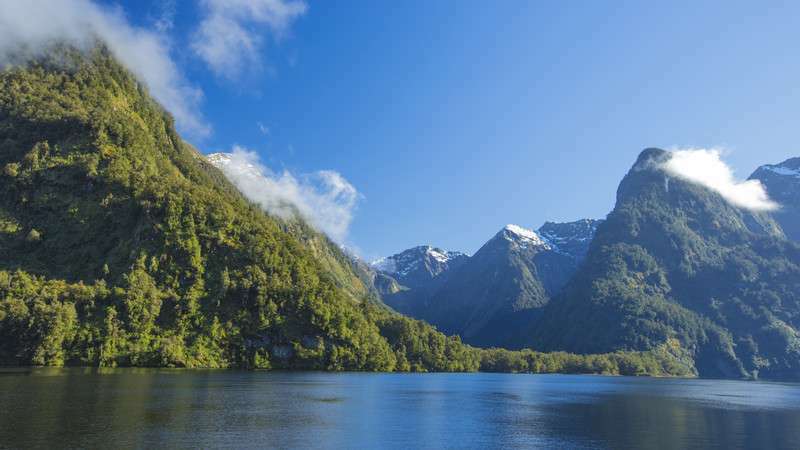 As the ‘Adventure Capital of the World’, buzzing Queenstown is a firm favourite – especially for experiencing the friendliness of New Zealanders firsthand. Check out the 11-day trip here. The cycling highlight: Without a doubt cycling through the laid-back and rustic Noto Peninsular. 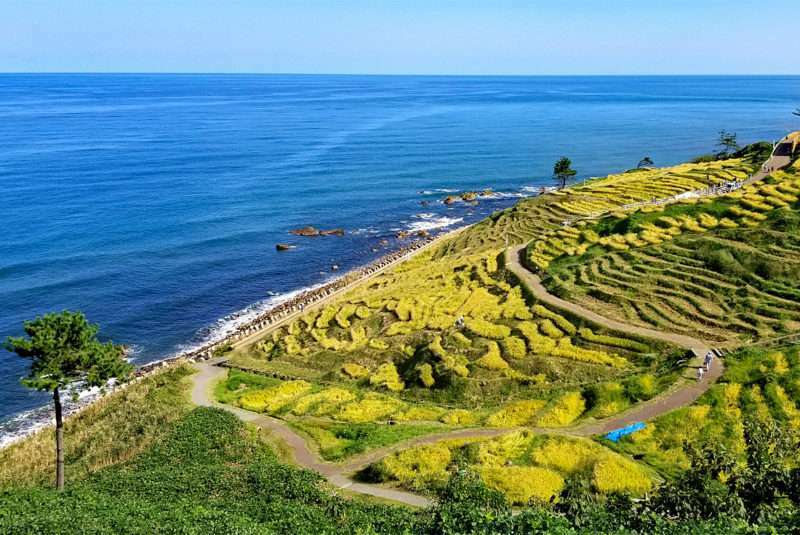 Its quiet roads, rugged coastlines, rice paddies, endless farmland and sleepy coastal fishing villages are the perfect antidote to the frenetic buzz of cities like Tokyo and Osaka. The non-cycling highlight: For all the attention the nation’s frenzied capital city of Tokyo gets, it’s Japan’s amazing food that gets our vote. Choose to end rewarding days in the saddle with amazing Japanese feasts of sushi, unagi, tempura or even fugu, all washed down with a traditional sake or Sapporo beer. The cycling highlight: Exploring a seldom-visited paradise not far from Varadero’s popular beaches – the Yumuri Valley. 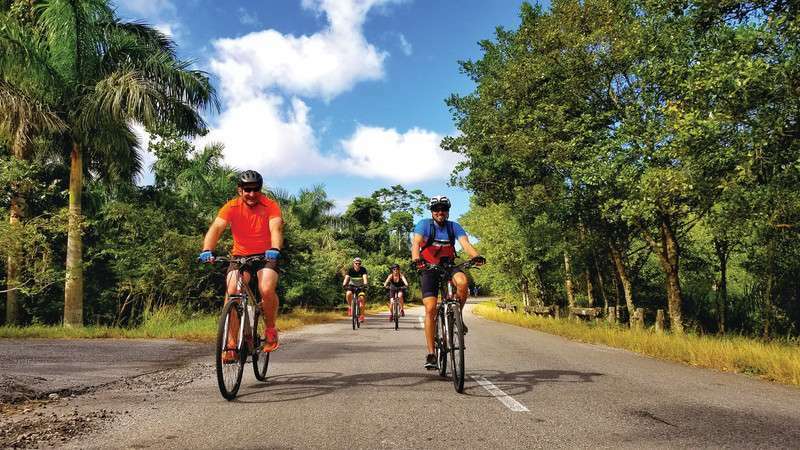 Tucked behind the hills that line the province’s northern edges, a bike tour of the Yumuri Valley will reveal a stunning mix of rolling pastures, fields of palm trees, small forests and agricultural plots – a genuine insight into Cuba from the tourist crowds. The non-cycling highlight: The beaches, the music, the dancing, the weather, the cigars, the legend of Che Guevara, and of course those beautiful American vintage cars, this country has it all. Despite that all, the real highlight of Cuba is the people – friendly, and engaging, there is nothing more welcoming than a Cuban smile. The cycling highlight: Kerala is a dream to cycle in, from the cooler climes of the hilly Western Ghats to the buzzing port town of Kochi but the highlight of this Indian state is the ride from Trivandrum to Varkala with Kerala on your right and nothing but long stretches of sand, palm trees and the Arabian Sea on your left. Best of all, Varkala has some of the whitest and most pristine beaches in the whole country. The non-cycling highlight: In some places the word ‘backwaters’ is used as an insult but not in Kerala. 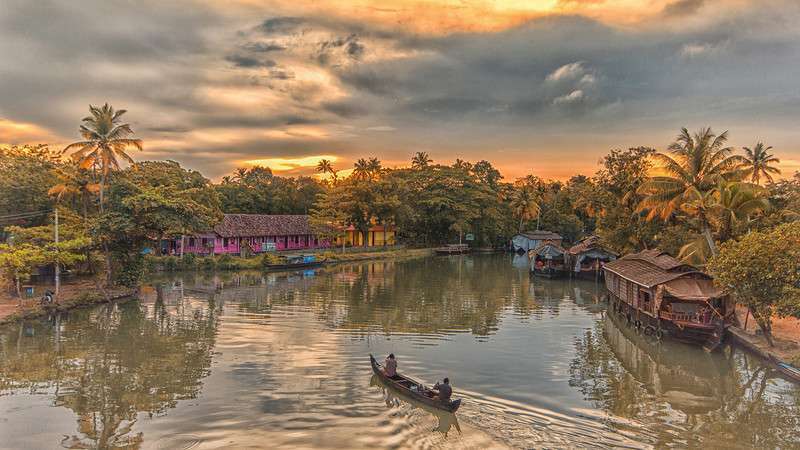 The backwaters are what Kerala is rightly famous for and what better way to explore the complex system of beautiful lagoons and canals than on-board a typical Keralan houseboat (Kettuvallam). The cycling highlight: The ride to Mai Chau has you cycling through some of Vietnam’s most remarkable views, riding in between limestone karst peaks thrusting out of serene rice paddies. This is a ride when the end is almost as spectacular as the ride itself as the peaceful and friendly village of Mai Chau is situated in a stunningly beautiful valley surrounded by verdant green mountains and is famed for its breathtaking scenery. The non-cycling highlight: The true jewel in Vietnam’s crown is the iconic World Heritage Site of Halong Bay. This is one of Vietnam’s most beautiful places, a bay of emerald waters dotted with sandstone islands and caves. It’s a perfect place to spend a day on the water or simply relax and watch the world slowly pass by. …And that twist we mentioned? 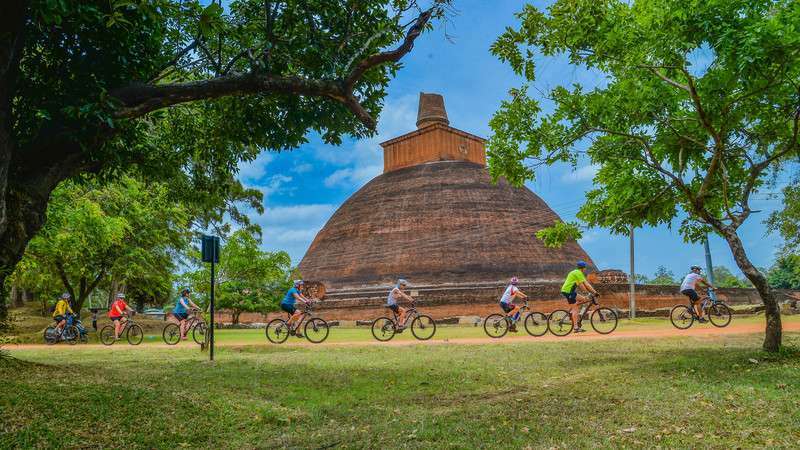 Sri Lanka continues to be Intrepid’s fastest-growing cycling destination, and for good reason. The history and culture, amazing food, friendly people and warm climate make it a perfect place for a cycling holiday. But every year the monsoon season makes it a little less comfortable, so rather than deprive you of the opportunity of riding in this beguiling country from May to July we’ve come up with a NEW 14-day itinerary to avoid that rain and wind down south. We keep all the best parts of the original, with visits to Colombo, the royal city of Kandy, historic Anuradhapura and the cool climes of the tea-growing hills still included, but added in the vibrant northern city of Jaffna, the beautiful white-sand beaches of Trincomalee, and so much more.